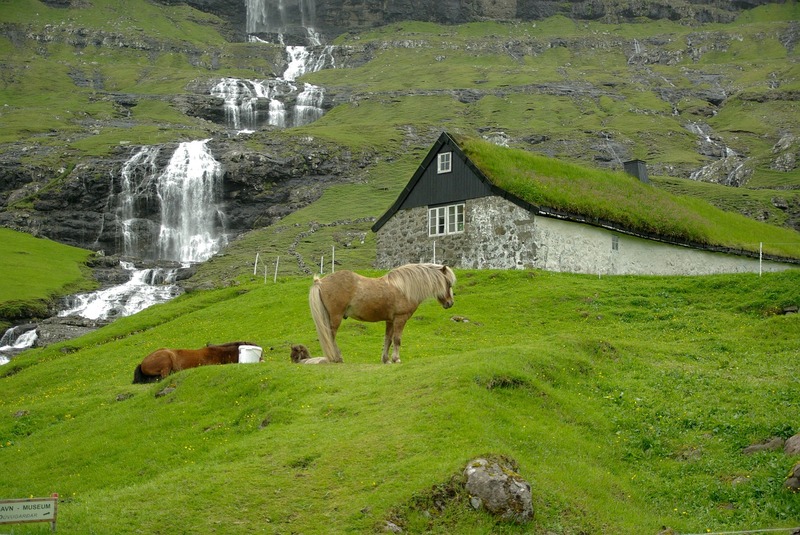 Guided Faroe Islands Hiking – The Great Canadian Travel Co. 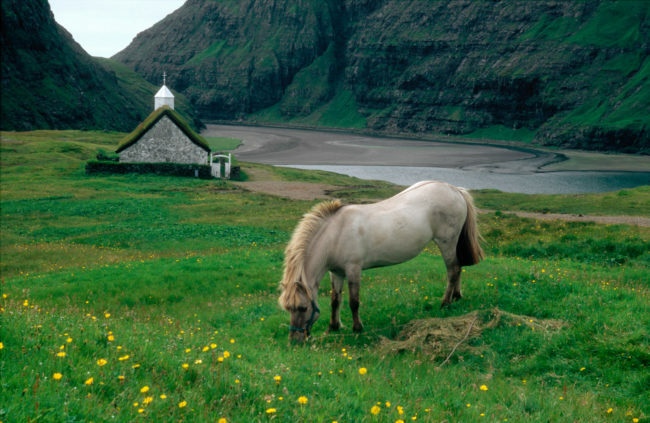 The Faroese untamed nature is a paradise for nature lovers and is well suited for a hike in the mountains. Hike with a local guide on old village paths, feel the wind in your hair, see colourful villages, grazing sheep, green mountains, fascinating fog and the nearby islands, which rise majestically on the horizon. Prices are shown per person in US$ based on two people sharing a twin room or one person in a single room. US$ prices are subject to change depending on the fluctuation of foreign currencies. An updated price will be provided at the time of your initial request. Arrival with Atlantic Airways. Pick up rental car at the airport. 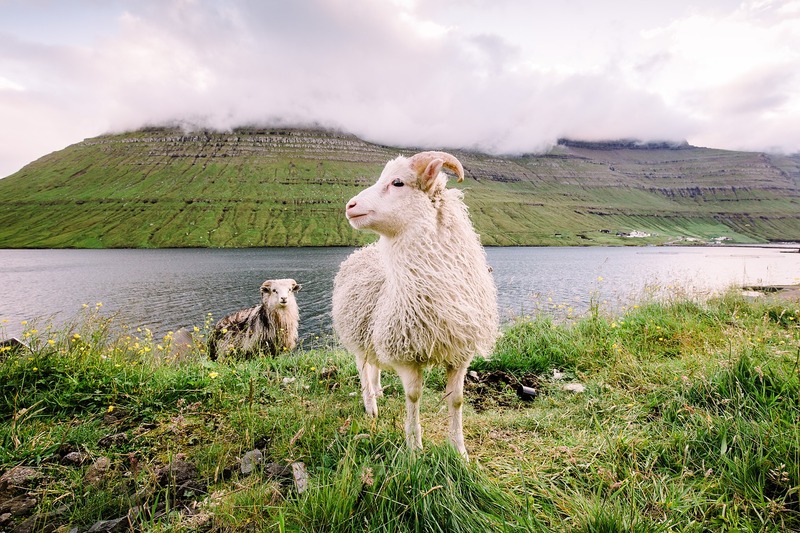 Take the short drive to the village of Gásadalur, which was the last village connected to the rest of the islands by tunnel. Enjoy the quiet and stunning view of Tindhólm. Spend the night on Vágar. Visit the bird island Mykines. The tour starts with a grand sail by majestic sea cliffs. 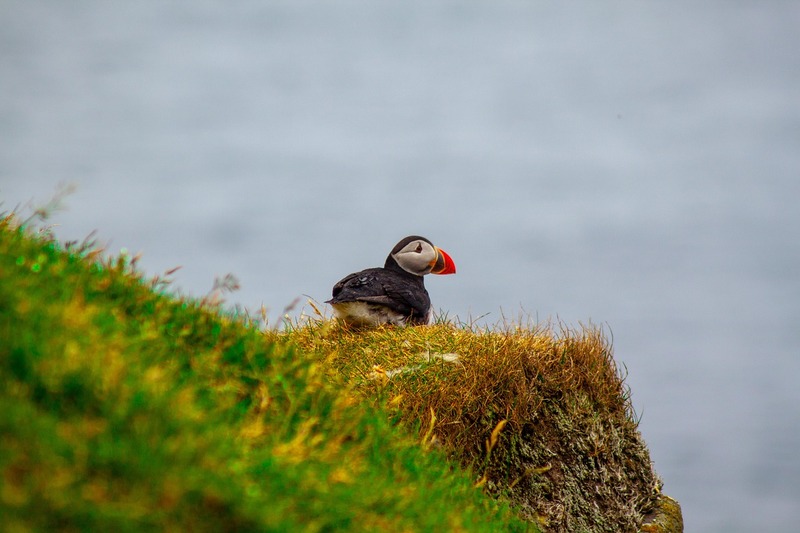 Spot puffins, that charming little bird with a colourful beak, or the impressive gannet, which can only breed on the isolated isle to the west of the main island. Upon arrival to the island, you meet the guide. To get out to the isle and its lighthouse, one must cross a bridge – a bridge that crosses the Atlantic Ocean. Back in the village, one can pop in at the local cafe. Spend the night in Tórshavn. With ferry from Viðoy to Svínoy. Hiking with guide from the village in Svínoy. A beautiful and easy hike. The hike starts in the village and we walk out to the headland called Dragin, where the English used to have an outpost during the war. There is also a bird fowling seat at Dragin, which will be pointed out to you during the walk. Among the birds it is expected to see or hear whimbrels, European golden plovers, arctic skuas, arctic terns, common eiders, meadow pipits, greylags, and several species of gulls. In the cliffs are northern fulmar, puffin and European shag. Along the shore between large stones and boulders the beautiful black guillemots nest. 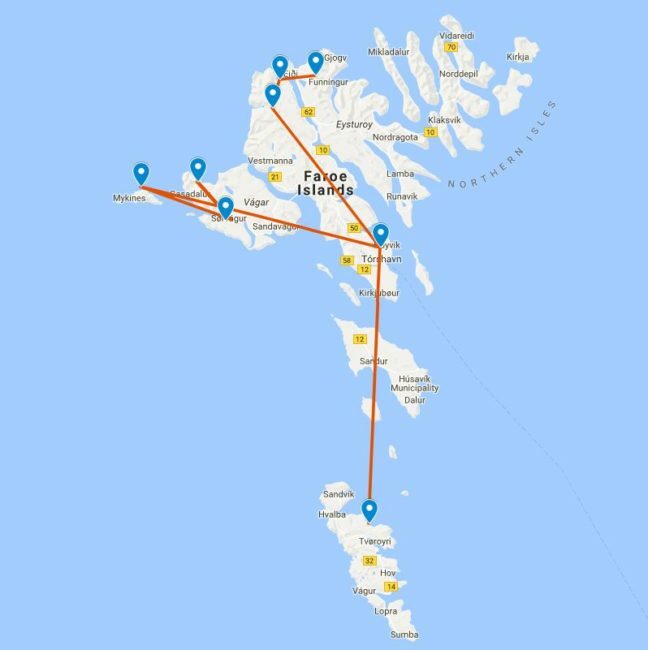 Spend the night in Klaksvík. Departure from the village of Tjørnuvík, situated at the northernmost point of the island of Streymoy. The guide will lead you along the hiking path up to the valley of Torvadalur. 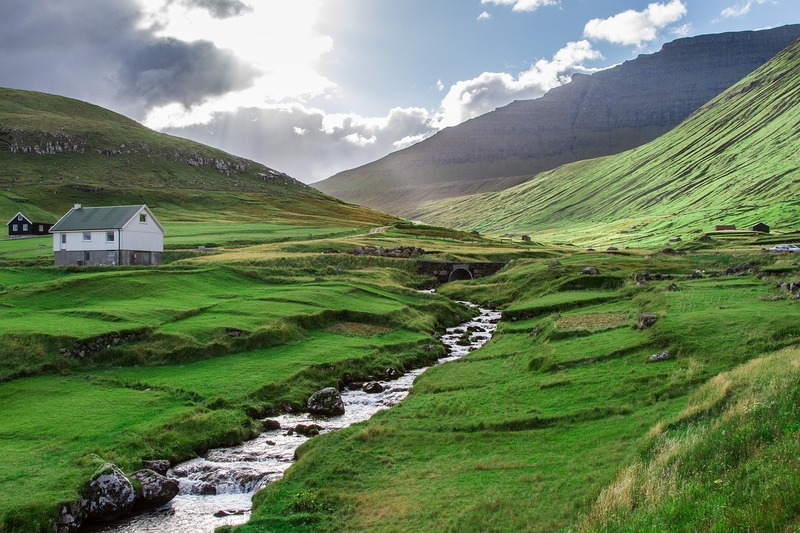 There will be a short stop to give you the opportunity to enjoy the beautiful nature and the view of the highest mountain in the Faroe Islands, Slættaratindur. From here, you will continue up to Kambur and westward to Skoradalsheyggjur, where there is a view of the entire bay of Sjeyndir. The hike continues from Skoradalsheyggjur down to the strait of Stakssund, from where you will reach the sea stack by cable. Once on the sea stack, you will have the opportunity to go into the house to enjoy your packed lunch while you take in the magnificent view of the bay of Sjeyndir, the promontory of Mýlingur and the island of Kalsoy to the east. Spend the night in Eysturoy. Hiking with guide to the highest mountain in the Faroe Islands – Slættaratindur. The hike starts at Eiðisskarð, the mountain pass to the south of Slættaratindur. Slættaratindur (882m) is a must to hike, as it is the highest mountain in the Faroe Islands. The trip starts from the mountain pass Eiðisskarð. The hike is moderate. 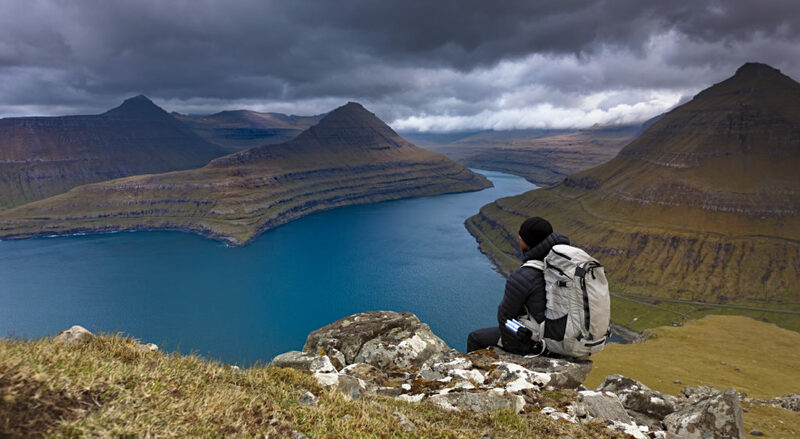 When you reach the top, the view of the Faroe Islands is nothing less than spectacular – Mountain peaks surround you – an experience for life. Spend the night in Eysturoy. 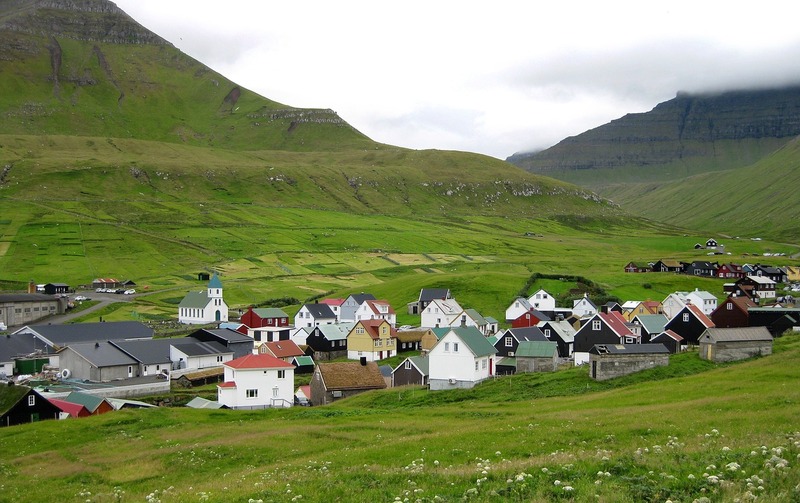 Day on your own, but here are some suggestions: Hike over the mountain and back to the cultural centre of Kirkjubøur. Enjoy the majestic view over the islands of Sandoy, Hestur, Koltur, and Vágar. After arriving in Kirkjubøur, it is possible to visit Roykstovan that is approx. 900 years old. See the ruins of the Saint Magnus Cathedral and Ólavs’ church from year 1111. Or, enjoy the day in the scenic village of Gjógv, known for its unique natural harbour and a beautiful view of the island of Kalsoy. The natural harbour is an attraction everyone should take time to see. If you walk up the hillside, you will be rewarded with beautiful views of the bird cliffs and the village. Another option is a boat trip to Vestmanna Cliffs with lunch and a visit to the Saga Museum. 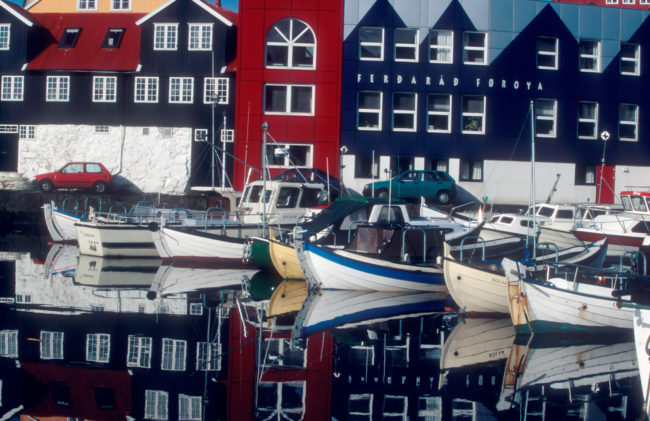 Or, simply spend the day exploring the old part of Tórshavn and the harbour front. Spend the night in Tórshavn. Drive to Vagar Airport and return your rental car before checking in for your flight. Departure with Atlantic Airways.